Scooper - Technology News: India wants to create 100 'smart cities' - how can it get there? The world is experiencing an unprecedented transition from predominantly rural to chiefly urban living. India is by no means an exception, with its urban population having increased from 222 million in 1990, to 410 million in 2014 and is forecast to increase to 814 million by 2050 . In fact the pace of urbanization in India has been so rapid, that Delhi and Mumbai are now the 2nd and 6th most populous cities in the world. This rapid increase in India’s urban population has put significant pressure on its existing urban infrastructure and services. 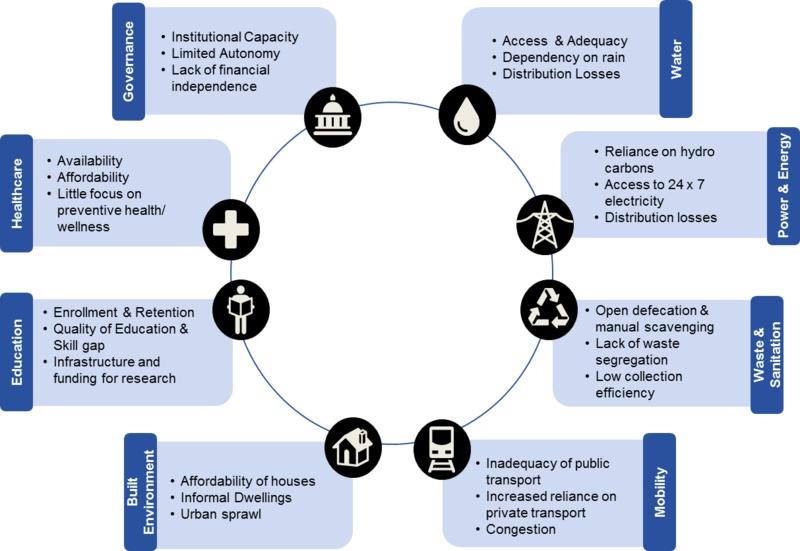 According to the findings of a World Economic Forum survey, included in the recently published Reforms to Accelerate the Development of India’s Smart Cities report, cities in India face a range of challenges to meet demand and supply gaps in urban regions, in areas such as water, waste management, energy, mobility, the built environment, education, healthcare and safety and if timely and adequate action is not taken, these challenges may worsen and could derail India’s growth. In this context, the government of India launched its ambitious 100 Smart Cities Mission . In essence, this provides a holistic city rejuvenation programme for 100 selected cities in India. The government plans to invest $7.5 billion in the 100 cities over the next four years, with an equal contribution coming from state-level government, in order to enhance physical infrastructure (water, energy, built environment, waste, mobility and ICT) and social infrastructure (health, education and recreational facilities). The 100 smart cities are selected through a “ Smart City Challenge ”, which makes cities compete against each other, while engaging citizens in identifying the key challenges facing the city and developing a plan to deliver smart solutions. So far 20 cities have been selected. This programme has placed a new emphasis on the development of cities in a country that has traditionally focussed on rural development. In addition, it has brought renewed interest from international and domestic investors, who recognise that public private collaboration is required to enable India to bridge the infrastructure investment gap and invest $640.2 billion in urban infrastructure up to 2030 . Institutional challenges: Urban Local Bodies (ULBs) will play a crucial role in implementing the 100 Smart Cities Mission, but they lack the resources to execute. The same World Economic Forum survey highlighted that ULBs are the least prepared to execute of all the stakeholders which include the national government, state governments, the private sector, non-governmental organizations (NGOs) and academic institutions. Their lack of preparedness emanates from the lack of empowered leadership, inadequate institutional capacity, inadequate revenues, a lack of collaboration between multiple planning and administration bodies, and archaic processes. Business environment challenges: The private sector needs a stable business environment. 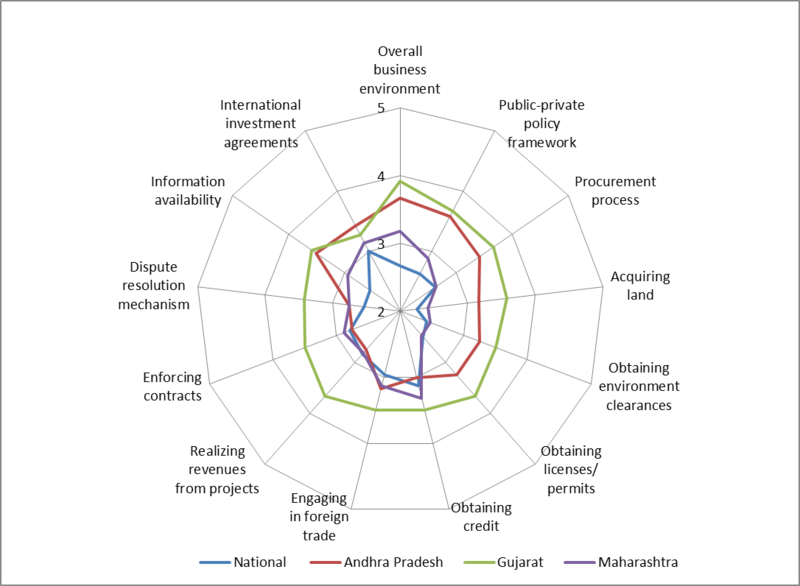 However, the results of the same survey indicate that major reforms are required in the procurement process, land acquisition, permitting process, dispute resolution and to address risks in public private partnerships, such as changes in scope, market distortion, community risks and breach of contracts risks. 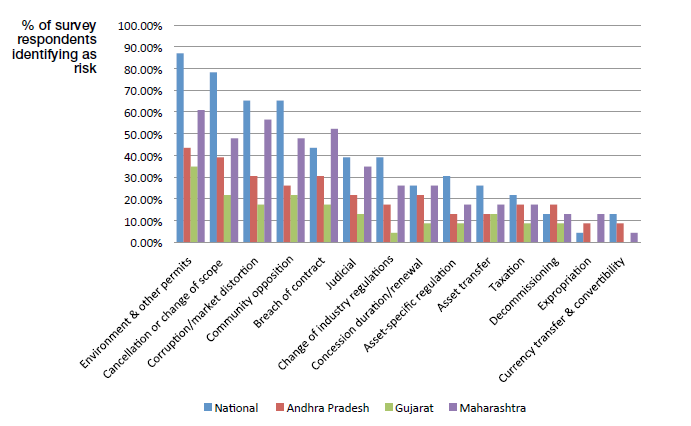 These reforms must be made a priority to attract private-sector participation. Sector-specific challenges: To date there has only been incremental changes in the way urban infrastructure and services are being provisioned, with the greatest transformation taking place in the mobility and energy sectors, and few changes in recreational facilities, water, waste management and sanitation sectors. The survey results indicate that the sectors with major demand and supply gaps (water, waste and sanitation) are those that are least attractive for private sector participation. The challenges across these key sectors include the lack of user charges (to fund infrastructure capacity expansion) and the propensity to pay such charges, distribution losses and behavioural issues. Mayor reforms are required to make key sectors appealing to the private sector, so that the demand and supply gaps can be bridged. At present, a mayor is only a ceremonial figure in cities in India, and the municipal commissioner, who is deputed by the state government and accountable to the state, is the executive head of the city. An executive mayor – directly elected by the city or elected by council – with a unified command over all the city functions could bring accountability and purpose to city-level administration, which is currently plagued by frequent leadership changes. Additionally, the executive wing of the city needs to develop technical and management capacity to execute large urban rejuvenation programmes. India needs to adopt a structured approach to public-private partnerships with an emphasis on project preparation and optimal risk sharing to enhance investor confidence. 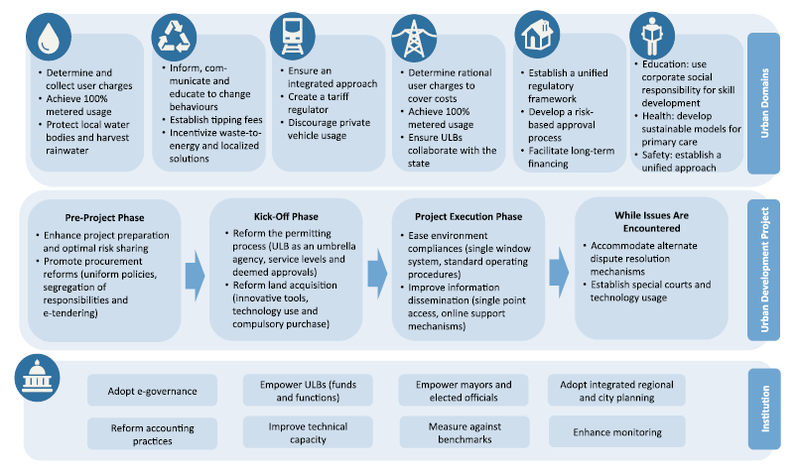 A single window system that eases the permitting process during the start of the project and during execution will accelerate project execution, reduce cost and time overrun, and improve intra- and interdepartmental collaboration. Further, process reforms during land acquisition in terms of using technology and innovative methods of land acquisition will enhance infrastructure development for greenfield and redevelopment initiatives. Major reforms are required to deliver the urban infrastructure and services required for India’s urban population. Reforms will be required to establish independent regulators, ensure metering, develop skilled resources, enforce collections (of user charges and taxes) from large defaulters and adopt integrated planning. Similarly, for social infrastructure, financially sustainable models will have to be created for the private sector to participate in education, healthcare and safety. Full Report: Reforms to Accelerate the Development of India’s Smart Cities is available here .